Letter boards have become very popular as décor additions given their versatile nature. You can use them to organize a grocery list and remember an important date. 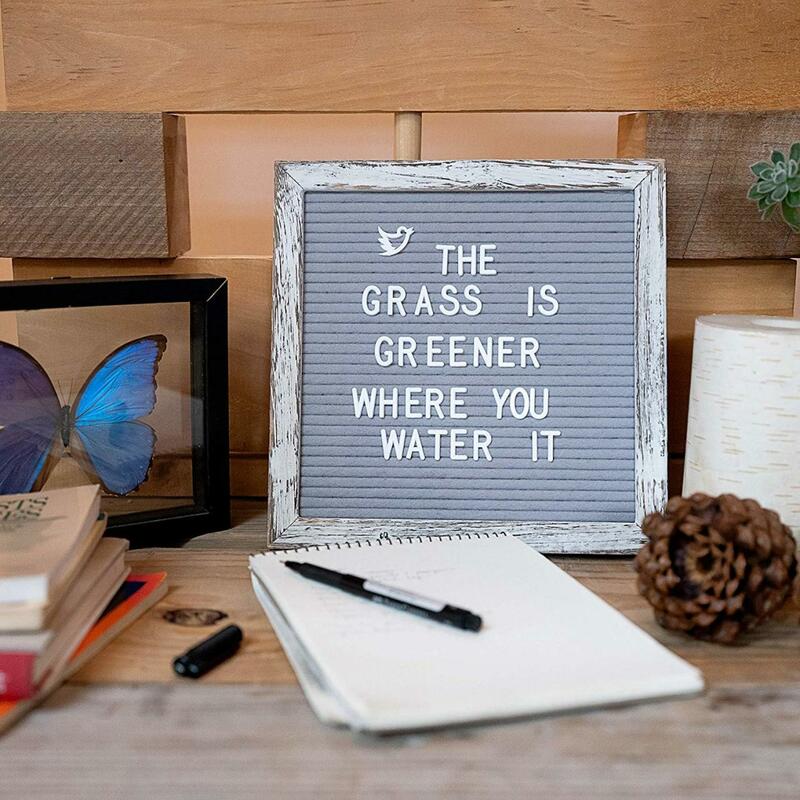 Or you could simply show off your favorite inspirational quote on a quirky-looking letter board. There’s just something very appealing to letter boards given their vintage design with a modernized feel. 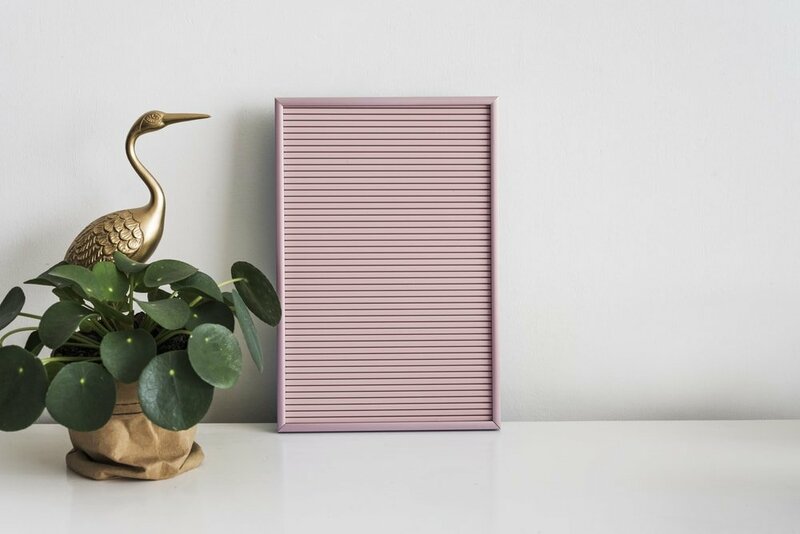 It can make your dining room more stylish or you can hang a letter board on a dedicated gallery wall in the living room. A letter board can quickly become an object of delight considering the possibilities to write anything that’s meaningful to you. If you’re running out of ideas and need some fresh inspiration, we’ve come up with some of the most interesting design ideas to help you take advantage of this hot home décor trend. 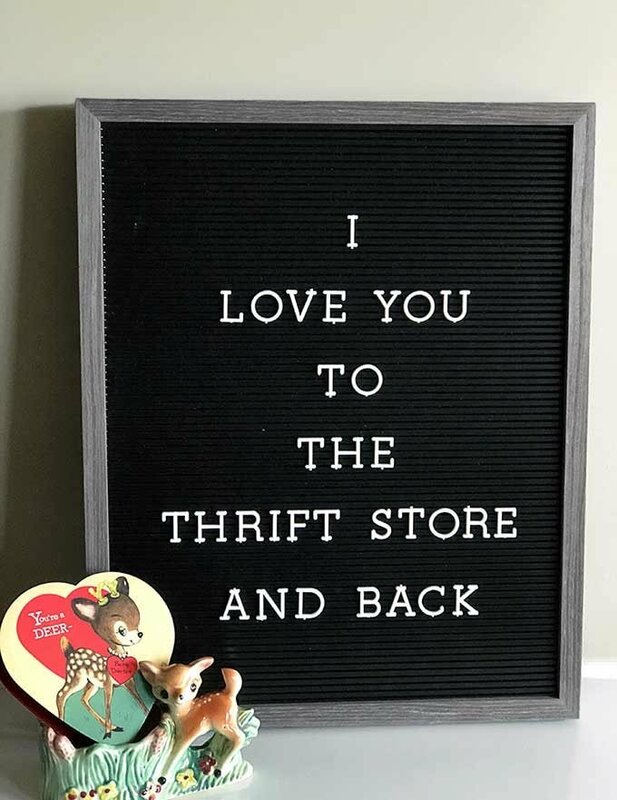 There’s no need to have an incredible artistic talent to be able to create a lovely letter board that can enhance the look of every corner of your home. If you’re out of ideas for Christmas decorations, consider adding a stylish letter board design to contribute to the festive atmosphere. 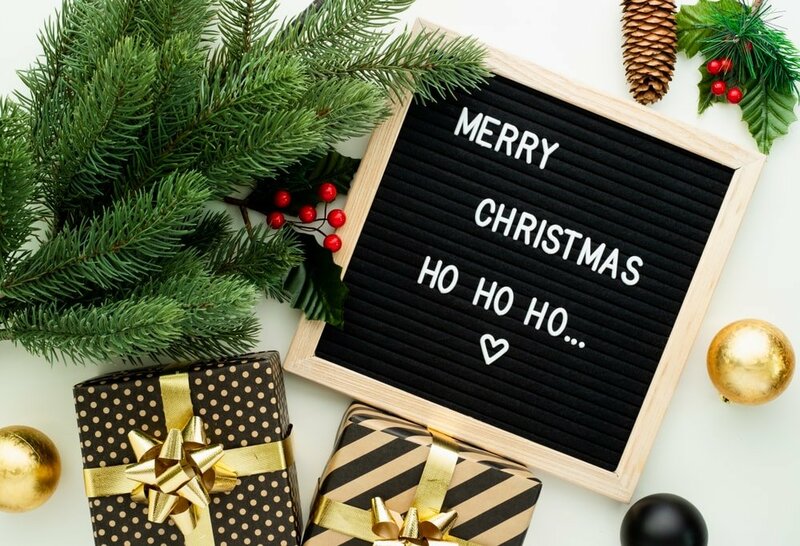 A simple message written on a letter board could be enough to welcome guests to the Christmas party. This idea can work for other events such as Thanksgiving or birthdays. The versatility of letter boards knows no bounds. 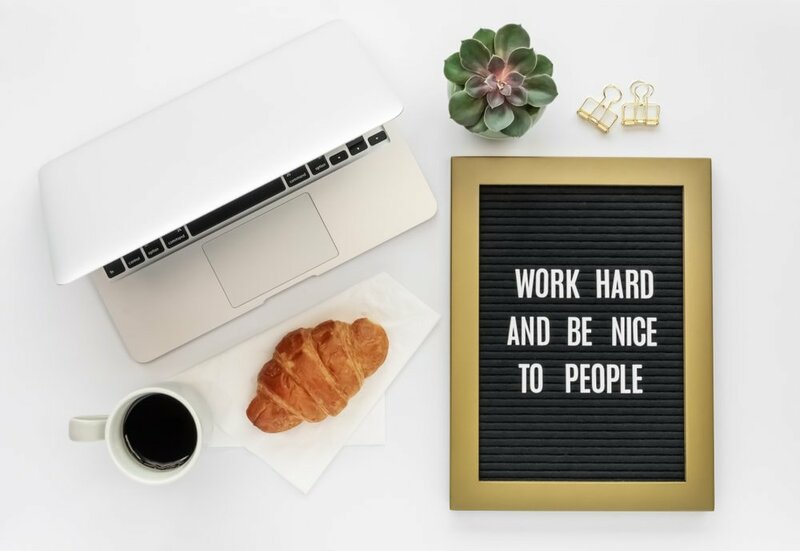 Sometimes the best use for a letter board is to help you get motivated. This can be achieved with the help of an inspirational saying or quote that can enable you to start the day in the right way. There are lots of ideas you can use here, it’s simply a matter of finding the right message that motivates you. 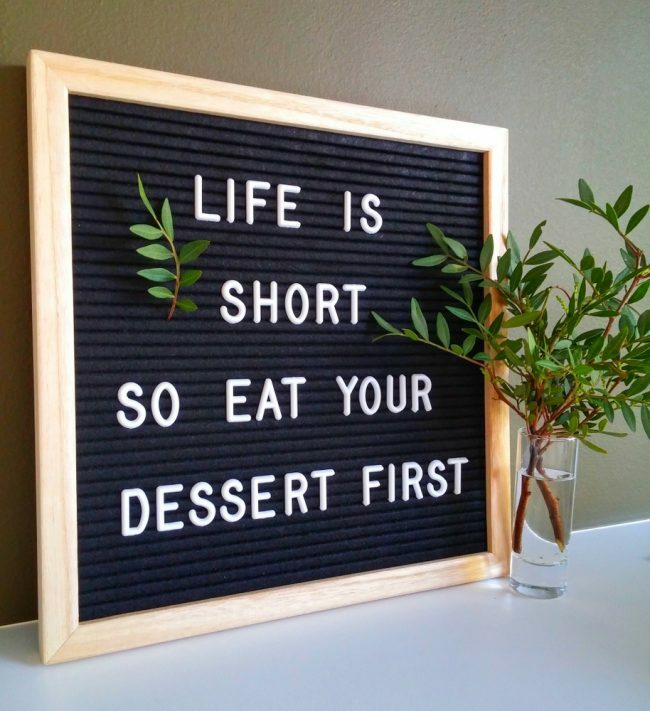 In any case, an inspirational letter board would be a step above using basic store-bought quote decorations. 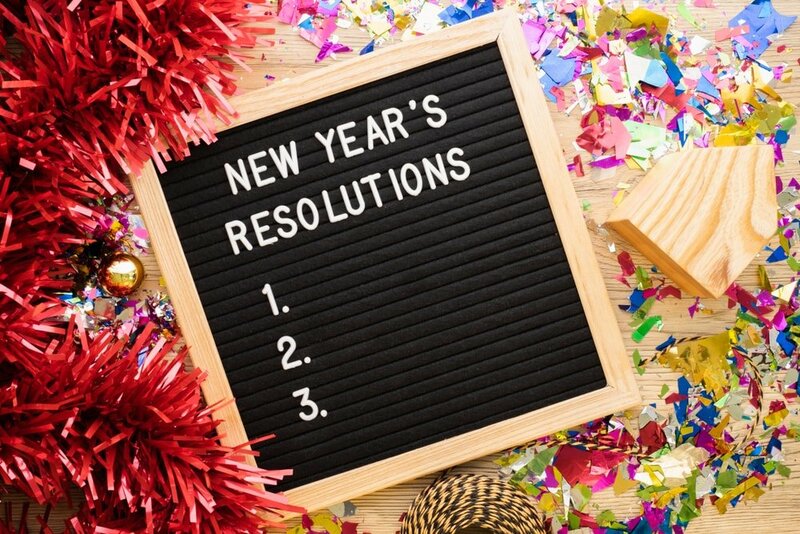 Letter boards could offer you an excellent way to stick to your New Year’s resolutions. 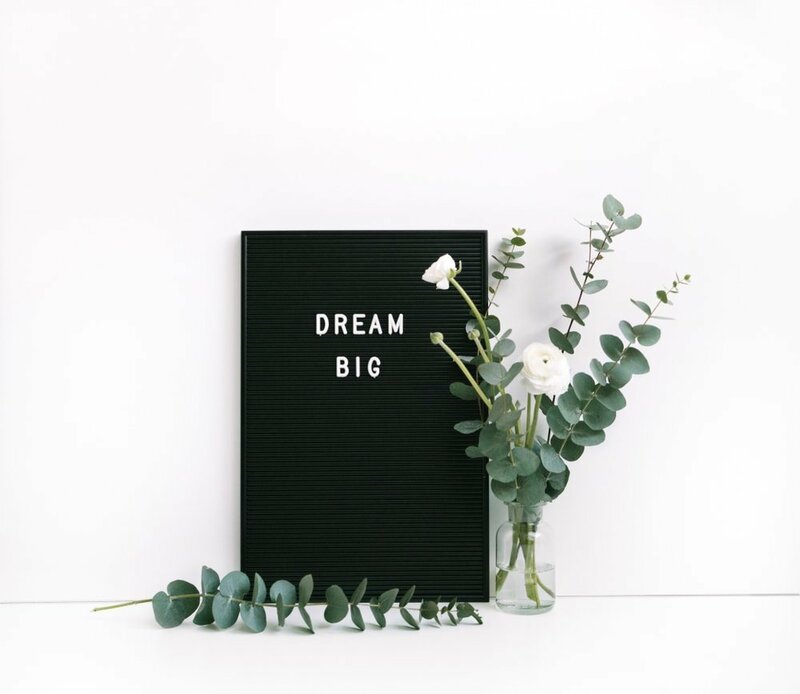 We all have a tendency to make various plans at the start of a new year, whether it’s to improve ourselves in a specific way or to achieve a particular goal. 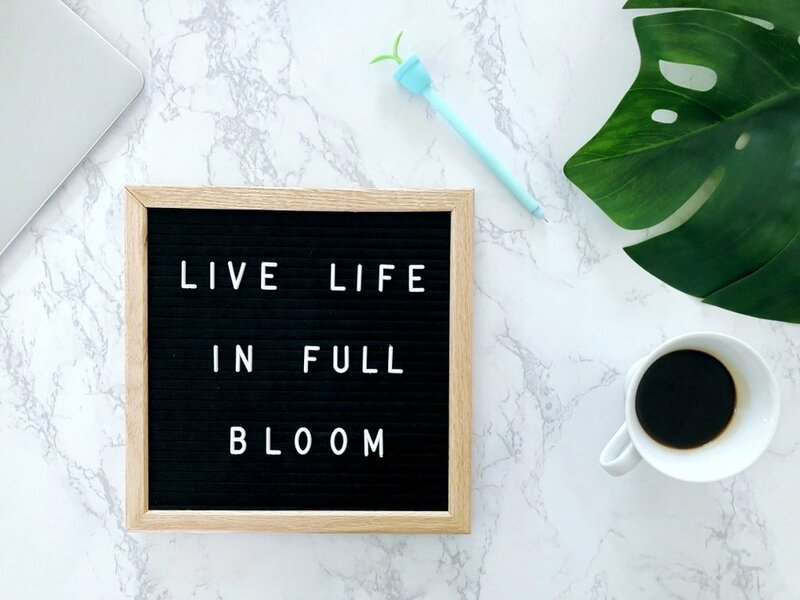 Get a letter board and organize your New Year’s resolutions to give yourself a handy reminder to fulfill your dreams. The kitchen is one room that could use a letter board for creative display of recipes or grocery lists. You could go for other methods to deal with these tasks, but it’s safe to say that few are as attractive as relying on letter boards. 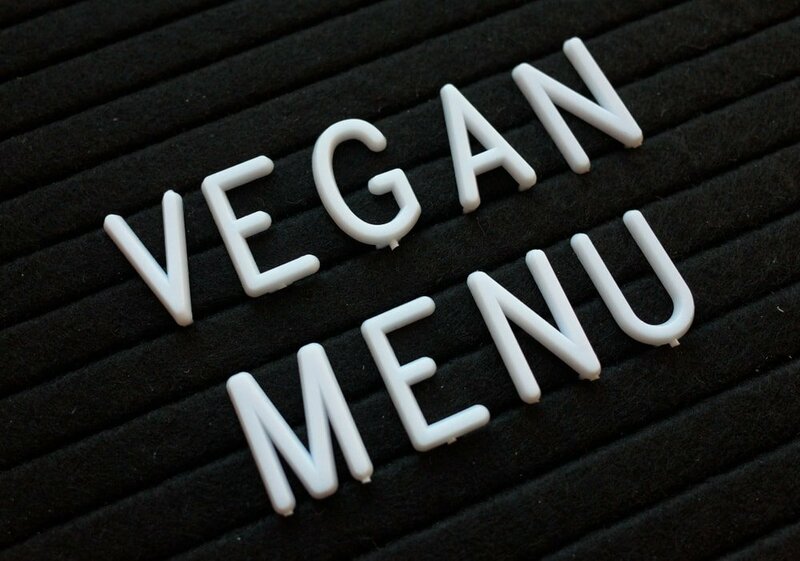 Maybe you’re trying out a new diet plan or wish to incorporate some healthier food items into your usual meals. Letter boards are highly functional in that regard without sacrificing the good looks. Whether it’s for a birthday party or another event, having a cool welcome sign could be a nice touch. 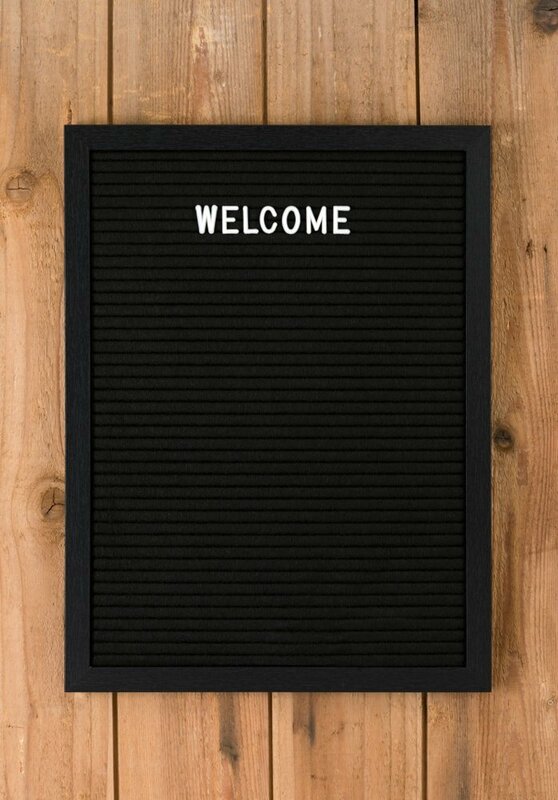 Letter boards can act as excellent alternatives to other methods for welcoming guests. The simplicity of a letter board can have a beautiful effect and the vintage vibe can be easily combined with other décor elements. This is a simple yet effective way to show your appreciation or transmit a greeting to guests upon arrival. 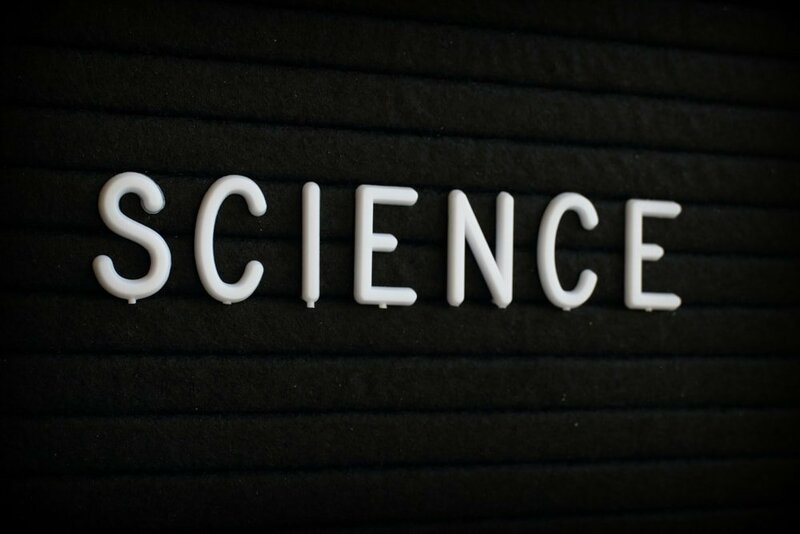 We are used to seeing large letter boards designed to help you fully express your thoughts. 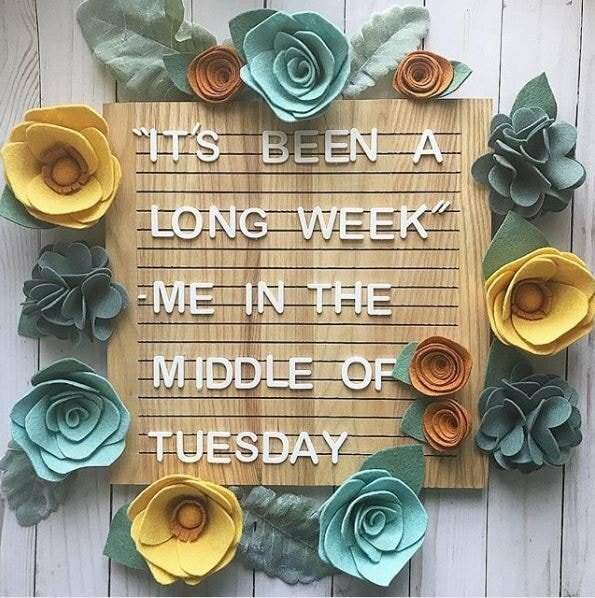 That doesn’t mean mini letter boards aren’t a thing. You can use a smaller unit for more convenient placement throughout the house. Maybe your small home office has limited space available or you just a subtle touch to add some style to your coffee bar. Mini letter boards can easily accomplish these purposes and deliver a similar visual impact even in a reduced size. Most people use letter boards for their solid design potential, but others can find a strong educational purpose as well. Your children can go over their educational activities in a more fun way thanks to letter boards. They can put their imagination and creativity to good use with the help of this tool as they can create words and sentences. Children can use a felt letter board to proudly display their creations. 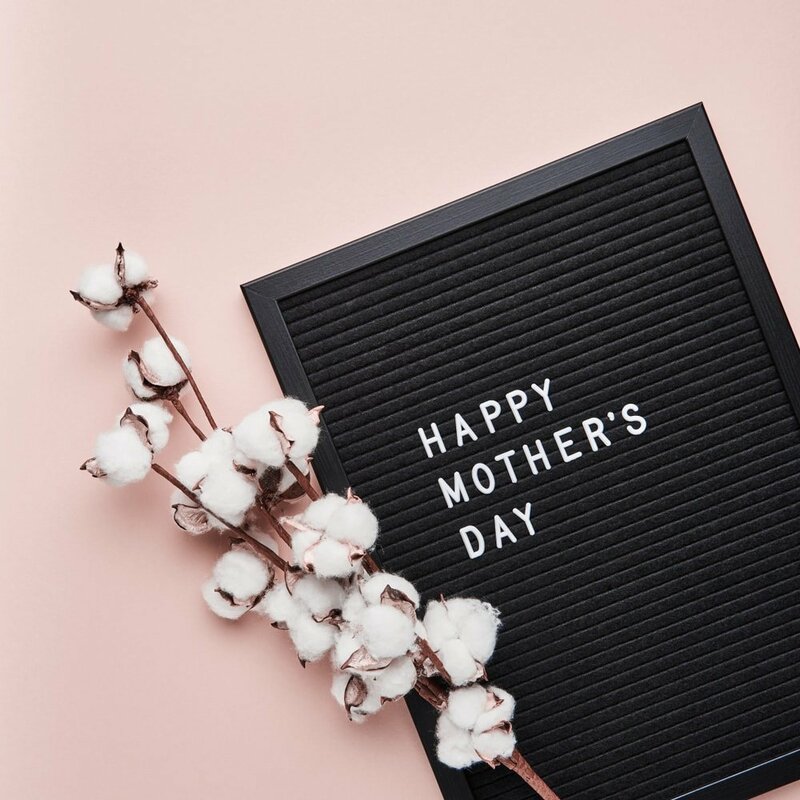 A thoughtful Mother’s Day greeting will be cherished forever. Here’s another great use for a letter board as it enables you to add a personalized message to create a memorable greeting. 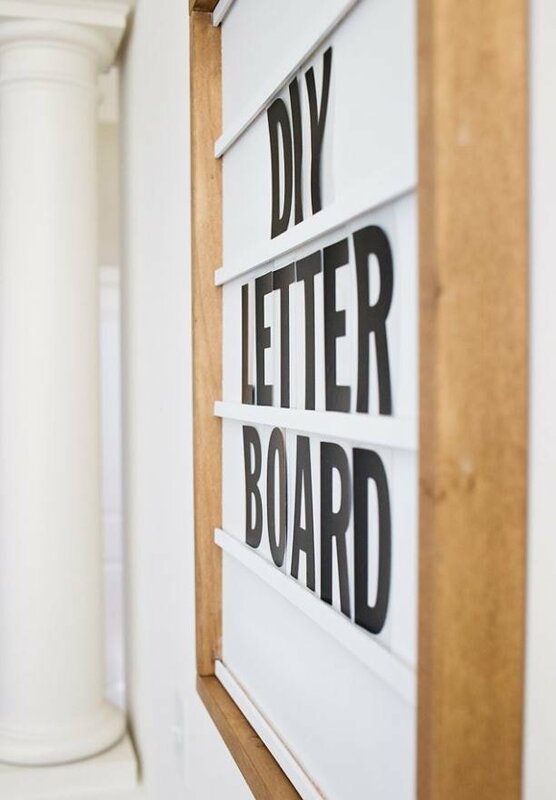 Many online print stores can help you bring to life your ideas for a unique letter board gift on this special day. 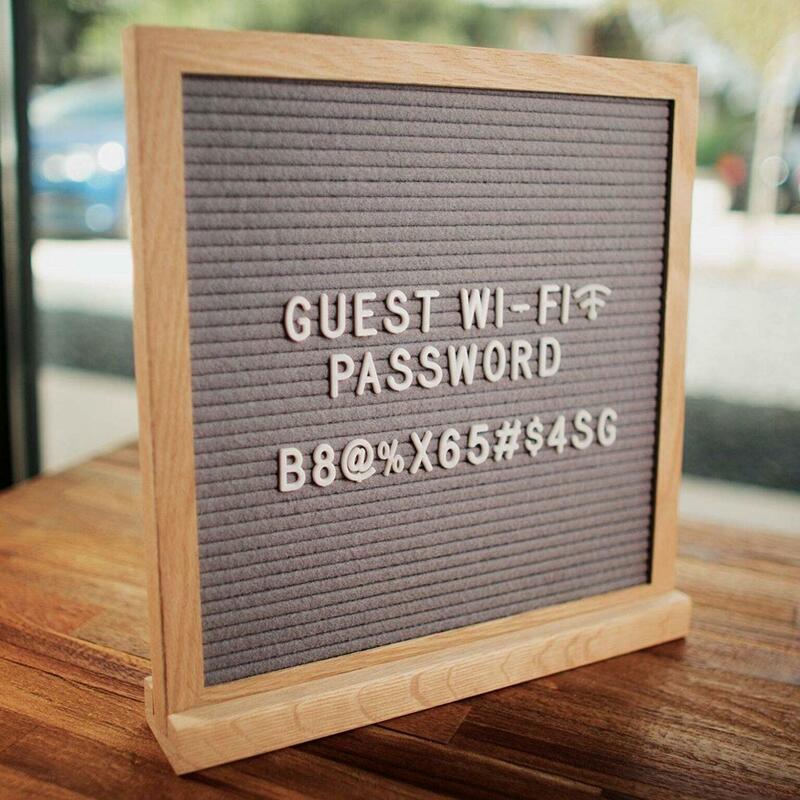 While the classic letter board is usually black, that doesn’t mean you can’t find solutions to stand out from the crowd. Consider investing in a more colorful letter board like this pink model from Amazon. The delicate color can bring a feminine touch to your room’s décor. The only downside would be the slightly reduced contrast from the white letters. If you want to create something truly unique, you should move away from store-bought items and try your hand at some DIY work. This DIY felt letter board project represents a fresh take on this popular item to display your favorite sayings. 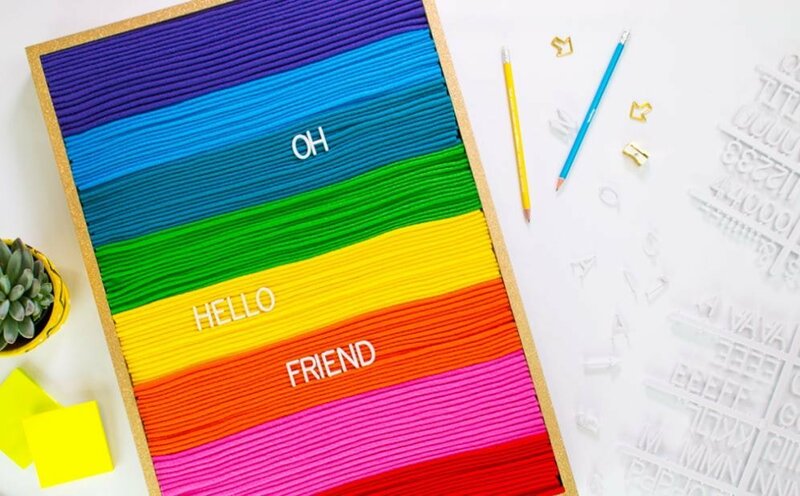 Instead of bland-looking black and grey letter boards, it aims to create a brilliant rainbow-colored unit. The best part about this project is that it won’t cost you a fortune or require you to use complicated tools. With some basic materials like strips of felt and a bit of effort, the result is definitely more interesting compared to conventional letter board designs. Valentine’s Day is a good opportunity to show off your love for your partner in a more creative way. Instead of the usual gifts, why not try coming up with a nice message that’s both romantic and funny at the same time? Letter boards allow you to do just that and impress your lover with your creativity. 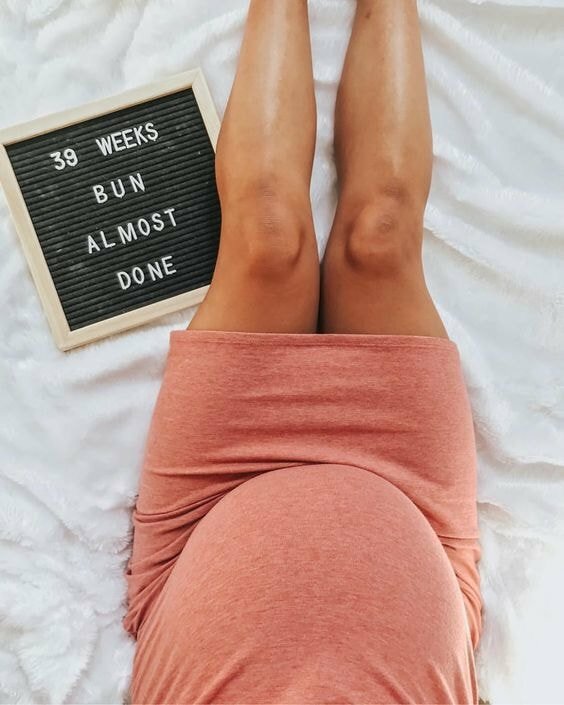 A fun and lighthearted method to keep your friends and family up to date with your pregnancy is to use a letter board. With the help of a cheeky statement, you can make convey your thoughts better and transmit updates in a more creative way. Lovely letter boards like this one can make a family picture more memorable as well. Customizing your letter board doesn’t require some extraordinary poetic abilities. Adding a funny message can lighten the mood around your home and help you show off your creativity in a more stylish way. There are endless ideas to give you some inspiration, like the one in this picture, or you can come up with your own funny message to write. The simple monochrome design of a letter board makes it suitable for a wide range of décor styles and themes. If you plan on creating a gallery wall, letter boards can be neatly integrated to write a relevant message. 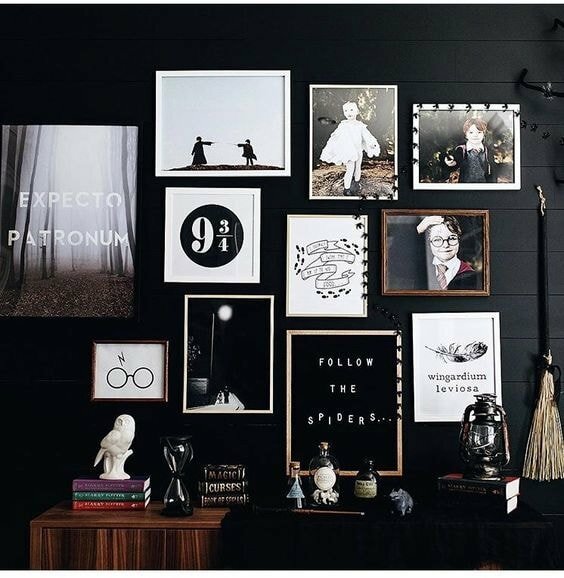 This wall is decorated by a Harry Potter fan with lots of artworks and photographs. The letter board is a great element that contributes to a cohesive theme. Letter board designs can easily steer away from the classic styles and many people take advantage of this to create a fresh look. Here’s a great example if you are a hygge-lover and want a more cozy-looking letter board. This minimalist model is designed to respect some Scandinavian décor principles. One important hint is the use of a neutral wooden board instead of the usual felt or plastic options. To add some splashes of color, the letter board has been decorated with colorful felt flowers. This makes it an ideal choice to add to a bright kitchen. 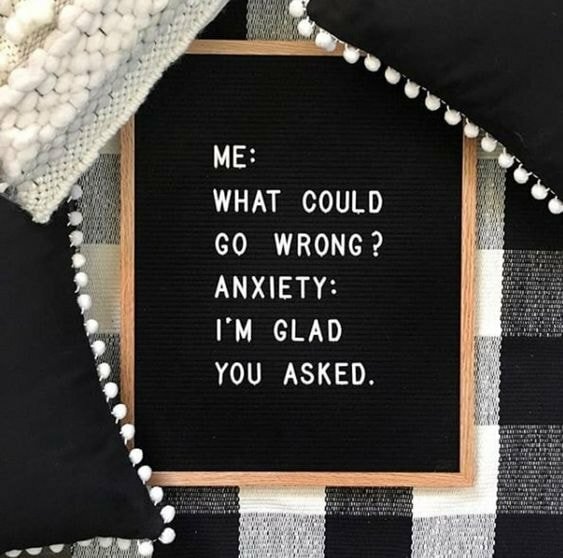 Don’t forget to add a funny or inspirational quote and you’ve got your hands on a truly unique letter board. 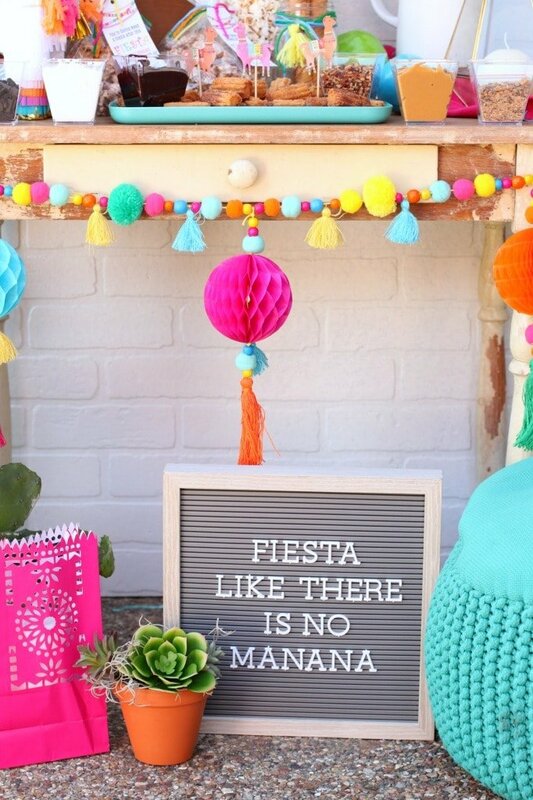 Party settings are great for incorporating some cheerful sayings through the addition of letter boards. Even in this kind of colorful environment, letter boards seem to belong without problems. You can rely on them to add a creative twist to any party and enhance the look of the rest of the decorations whether you choose to place the letter board on the table or mounted on a wall. Letter boards can be used at parties to fulfill a more functional role. For example, use a larger board to highlight the activities and events of the party night. Or you could simply describe various food items and beverages from your creative party menu. Here’s a simple way to decorate your home using letter boards. 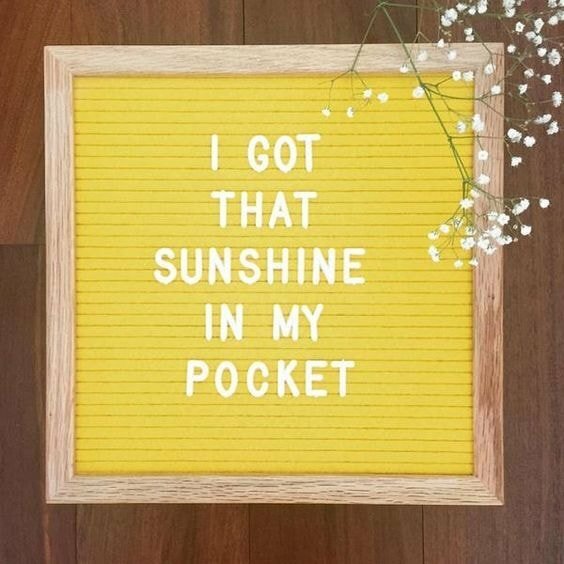 Just add your favorite song lyrics to set a nice mood. Sometimes this could be a good solution if you just can’t get that song out of your head. Writing the lyrics on a felt letter board lets you express that feeling and share it with others. If you’re a music lover and have posters and other decorations, letter boards should feel right at home together with them. 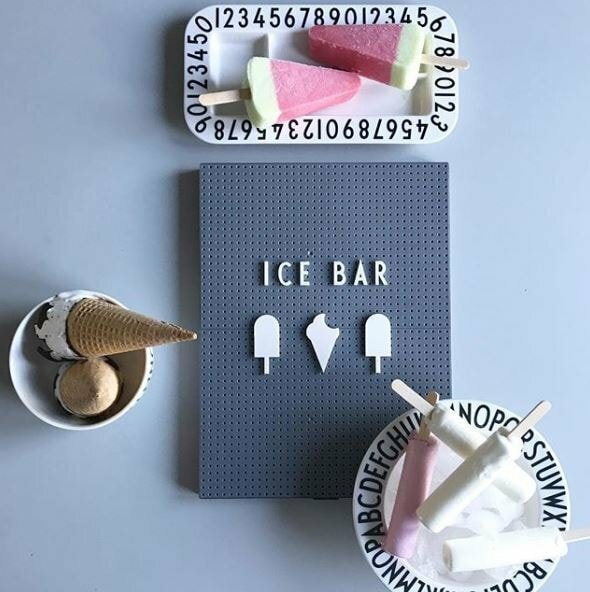 One fun project to try is this DIY marquee letter board. It can be a great solution if your budget is limited, but you still wish to jump on this decorative sign trend. Another reason why we like this idea is that it’s more fitting for those who prefer a modern take on the classic letter board. This stylish piece of wall art can definitely stand out in the room. Lots of creative approaches can be used to take the idea of a letter board and give it a completely new spin. Here’s a solid example as this peg board idea departs from the usual traditional style of letter boards. It comes with a modern design whose style belongs in a contemporary home. If your vintage tastes come closer to the farmhouse look, perhaps a rustic letter board will be more up your alley. Take a look at this great model from Amazon that seems to fit that design theme. This is a changeable felt letter board that won’t go out of style too easily. You can have it either displayed on a shelf or hanged on a wall as the kit contains all the accessories for proper display. More practical letter boards can come with a double-sided design to boost the versatility of this item even further. We like this model from Amazon which comes complete with letters in big and small characters. One side of this letter board is black while the other is gray to give you more contrast option and allow for more creative writing.